Code Geass is an anime about war. And it all starts when the Britannian army invades Japan and renames it – Area 11. Then strips all the rights away from the people within area 11, and refers to the victims as “Elevens”. Throughout the Anime there’s so many surprising life lessons that I had to share it. So l wanna talk about that. Life is like a chess move. Each and every action you take has its consequences, results, good outcomes and bad outcomes. There are no mistakes or “bad luck”. 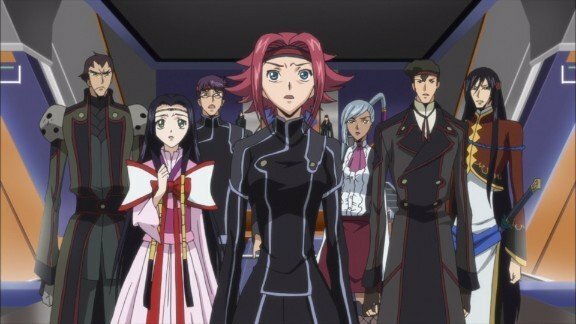 Throughout the Anime – Code Geass, there’s an endless amount of battles between the britannian empire and the Black Knights. Most battles in Code Geass follow these 7 words - make your next move your best move. If you think before you act and you plan your every step, each action is bound to be the best. But If you just act without thinking and fail to plan beforehand, the results will end up sloppy. Success in ANY area of life doesn’t happen as a result of sloppy actions or sloppy planning. It’s a result of making smart moves that turn into success sooner or later. The company – Blockbuster is an example of this truth. Blockbusters was a MASSIVE home movie and video game business, and were known all over the UK. At one point they had the opportunity to buy-out Netflix but refused to do so. And years later it cost them their entire business. Why? They failed to adapt. Their business model was renting games and films offline. But that business model moved online, and they failed to adapt to it. If you fail to adapt to situations when they get ugly, you suffer. If we failed as a human race to adapt, we would have been wiped out centuries ago. Adapting is a necessity, no matter what you’re doing. Lelouch is successful in a lot of his battles against Britannia because of one fact. He’s surrounded by others. Without the black knights he wouldn’t have succeeded to the extent he did. This is a simple truth we as human beings tend to forget. Being selfish, stubborn and wanting to do everything yourself is dumb. Especially if you intend to create something big in your lifetime. There isn’t a single person who’s done everything themselves and created massive success. Just like there isn’t a single musician who didn’t have 1000’s or 100,000’s of fans before their album went platinum. This principle applies to all areas of life, career and business. Lelouch, the leader of the Black Knights always comes prepared before taking on the britannian empire. He’s so prepared that in one scene – he anticipates several outcomes before they happen, and has a strategy in place to overcome them. When you’re more than prepared for a crisis, setbacks and situations beyond your control, you can better adapt to them. And by doing that, you’re more likely to overcome it and come out on top. To succeed in whatever it is you’re doing, a LOT of preparation is necessary. Knowing beforehand what topic you’re going to be blogging about. what tasks need to be done the following day. what clothes you’re going to wear to cut down time spent getting dressed. HOW you’re going to start a business, and what’s needed to make it go smoothly. By knowing and preparing beforehand you’ll be in a much better position to successfully do the task. Similar to how a boxer or an athlete prepares before a match or a 100m sprint. Lelouch was able to convert, convince, build a loyal army within a short space of time. He inspired hope, faith, trust and possibility in the eyes of those who were once enslaved by the Britannian empire. Without his self confidence, he wouldn’t have accomplished half as much or built a powerful army of soldiers. Self confidence is the difference between someone trusting you and avoiding you all together. How much conviction you have in your voice and message makes all the difference. Few people will trust what you say. You’ll have a hard time convincing, persuading or influencing others. People are LESS likely to be drawn to you or your message. You won’t take risks or do the things YOU believe in. Self confidence takes you further than you could ever imagine. It’s a necessity if you expect to pursue your goals and succeed in getting what you want out of life. 5 Simple Life Lessons You Can Learn From K-On!